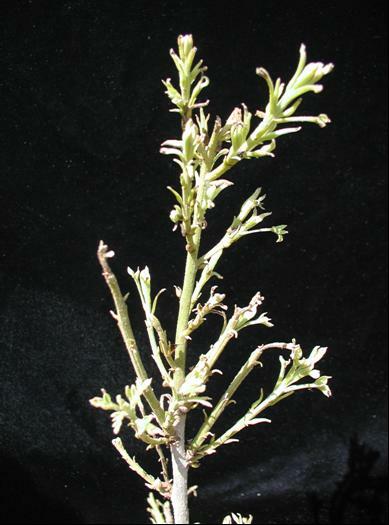 With the cool temperatures we are experiencing this spring pecan trees are exhibiting some odd foliage characteristics. Normally at this time we have seen foliage reach nearly full expansion and female flowers are in the middle of pollination. 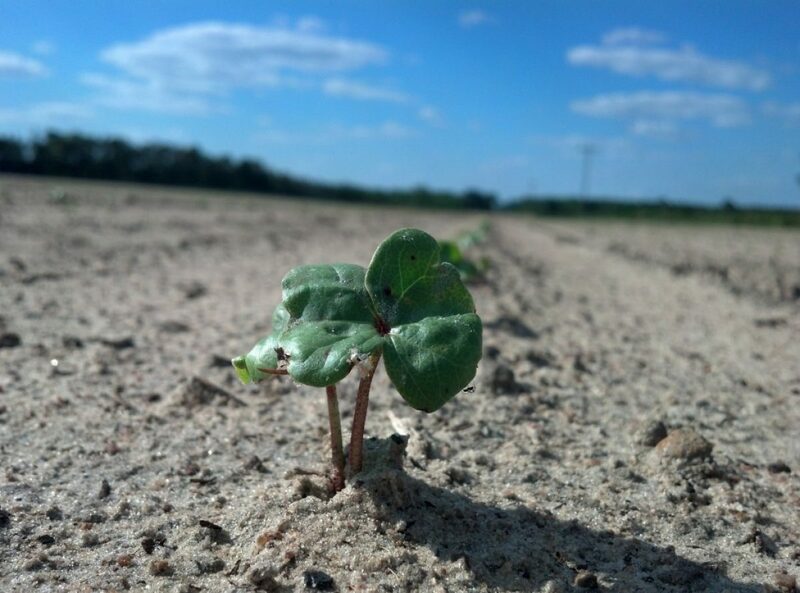 But, with temps averaging about 4 degrees below normal, foliage development is behind. The cool soils associated with the delay in our warm up are also leading to the appearance of more mouse ear (nickel deficiency) symptoms on developing foliage. Pecans don’t need much nickel (Ni) but the cool soils limit available uptake and assimilation to those tissues in the tree which need it. The most common symptom of mouse ear is a rounded or blunt leaflet tip. Affected leaves and leaflets are often smaller in size than healthy foliage. 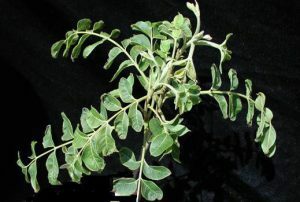 Other symptoms of mouse ear include dwarfing of tree organs, poorly developed root systems, rosetting (see below), delayed bud break, loss of apical dominance, and necrosis of leaflet tips. Symptoms may occur throughout the entire tree, or sporadically throughout the canopy, often evident only on a single major limb or terminal shoot. Mouse ear may consistently reappear from year to year, or appear only occasionally, on the same trees. The degree of severity within the tree canopy typically increases with canopy height. The problem is easily corrected with foliar applications of Ni. For mature trees spray 1-1.5 pints/100 gallons. For young trees treated with a hand sprayer, mix 2-4 oz/25 gallons. Be careful not to over-saturate young trees when spraying with a hand sprayer as this can lead to foliage burn.